CCM spend management services for information resources. Wondering if your law firm or business could benefit? 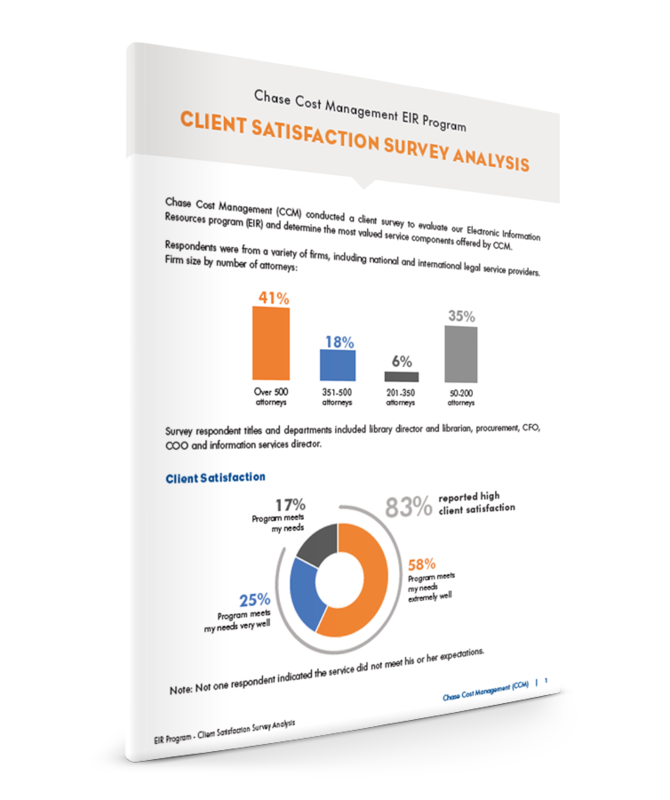 Download this report on a recent survey of our EIR clients. They told us what we do best and what they need most. Thank you to our survey respondents—we’re pleased to end 2017 with your confidence! Remember when you had two options for information resources? LexisNexis and Westlaw continue to be the leaders, but new options and technologies like artificial intelligence are entering the marketplace, ownership is changing hands and capabilities are expanding. We’ve updated our popular report, In the beginning, there were two, and we’re happy to make it available to you during the holidays as a little gift from our EIR experts.